This month is full of Halloween events for kids, teens, adults, and even dogs! 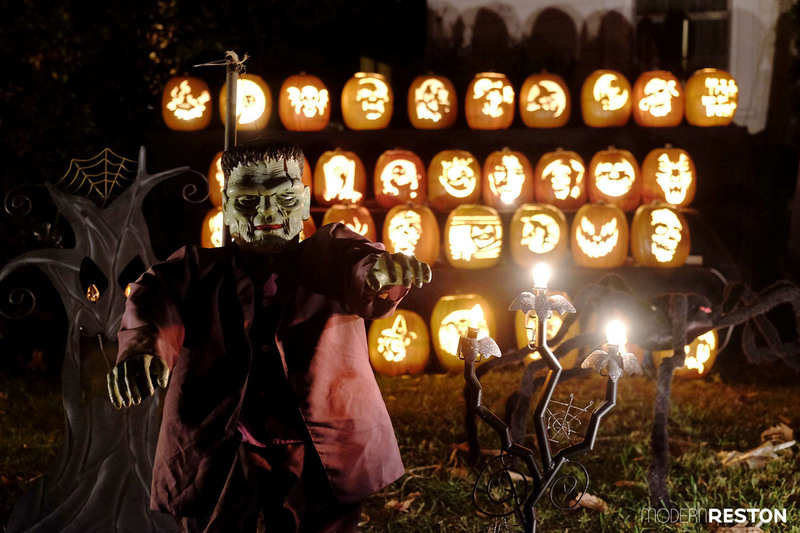 Here’s what’s happening for Halloween in Reston, Herndon, Great Falls, Vienna, Chantilly, and other parts of Northern Virginia and the DC area. Head to Frying Pan Farm for games, rides and tasty fair food. Admission is FREE, but there is a fee for carnival attractions. From 6-8pm on Thursday, come to the Indoor Arena Barn dressed in your favorite costume for Boo-Stravaganza. Enjoy fun, games, a wagon ride, treats, and a small pumpkin. This program is for kids age 3-8. The cost is $10-$12 per child for Boo-Stravaganza, and reservations are required. Enjoy activities for the whole family like our burlap sack slide, face painting, class demonstrations, carousel rides, food and outdoor fun. Tickets are $7. This fall fundraiser for giraffe conservation takes place on weekends in October, and includes a pick-your-own pumpkin patch, bounce house, giraffe feeding, wagon rides, and carnival games. Tickets are $20. Kids are invited to don their costumes for a fun-filled early afternoon. The fright-less affair includes free popcorn and cotton candy, an appearance by the Vienna Singing Princesses, a petting zoo, pumpkin carving, storytelling, face painting, balloon animals, and more. FREE. Celebrate Oktoberfest with 50 pumpkin, spice, and seasonal beers, as well as live music, pumpkin painting, contests, and giveaways. Kid-friendly and dog-friendly. Tickets are $20. Trick or treat among the zoo animals, with more than 40 treat stations, animal demonstrations, keeper chats, and decorated trails. Tickets are $30. The event includes bands, food trucks, costume competitions, a DJ dance party, and a wild 5k zombie obstacle course. Arrive in costume for safe indoor trick-or-treating, creepy crafts, spooky science experiments, and other Halloween-themed activities. 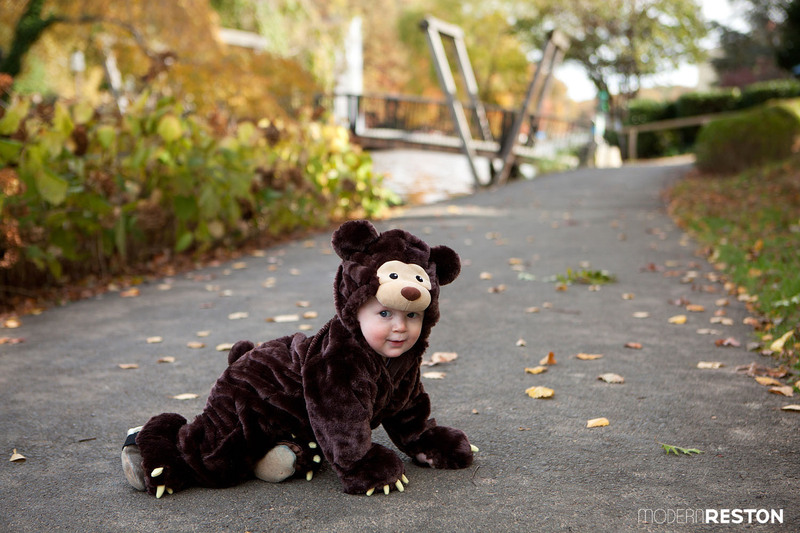 The tiniest visitors can check out the Tot Zone to play dress-up and hear a story. Admission is FREE, but parking is $15. Children up to the age of 8 and their adults are invited to dress in their costumes and enjoy carnival games, prizes, a one-man band, and a puppet show. FREE. Trick or treat with participating merchants, and take part in the costume parade, pumpkin carving, hayrides, and musical performances. FREE. Celebrate Historic All Hallows Eve with storytelling, fortune telling, fall foods and family gatherings. Experience these traditions as you tour the house and grounds by lantern light. $10, register online. This annual parade features bands, floats, performers, antique vehicles, and more. Kids are invited to walk in the parade in their Halloween costumes. No registration is required for kids to walk in the parade; meet at 6:30 p.m.
Children ages 3-8 are invited for this Halloween event that features ghoulish games, spooky crafts, and an amazing magic show. Children should wear their costume. Each participant will receive a special Halloween treat bag. Admission is $10-$15. This haunted house is a fundraiser for Herndon-Reston FISH, which helps local residents through short-term crises. “Coal Mine” is a fun and terrifying Halloween event intended for older kids and adults. Witness death defying acts and amazing oddities at Friends of the National Zoo’s annual adults-only Halloween party. Enjoy craft beer, fare from popular DC food trucks, a spooktacular costume contest, and performance artists while dancing to music at the DJ dance party. $30-$80, register online. Families bring a small pumpkin to decorate and play games. Roast marshmallows at the campfire, enjoy cookies and juice, and make crafts as they share stories about pumpkins that aren’t scary. $10, register online. From opening until dark, enjoy an extended patio with pet-friendly seating. Bring your dog for a great view of Lake Anne Plaza’s pet-friendly Halloween festival from 1-3pm. Enjoy beer and Halloween candy pairings all day. A costume contest takes place in the taproom after dark. This is a great indoor option for trick or treating, and also includes a magic show, arts and crafts, and horse-drawn hay rides. FREE. Dress yourself and your pet in your finest costumes, and celebrate Halloween at a beer garden on the Plaza. There will be a pet costume contest, pet parade, live DJ, games, and treats. Dogs, cats, and other furry friends are welcome. FREE. Costumed children can visit participating retailers and the Information Center for treats and goodies on Halloween afternoon. Look for the pumpkin flyer in the window. The whole family can enjoy a spooky, magical performance for all ages by Turley the Magician at 1pm in Fountain Square. Stick around for a dog costume contest at 4pm. FREE. Dress up in your Halloween costume, and get ready for some not-so-spooky fun. 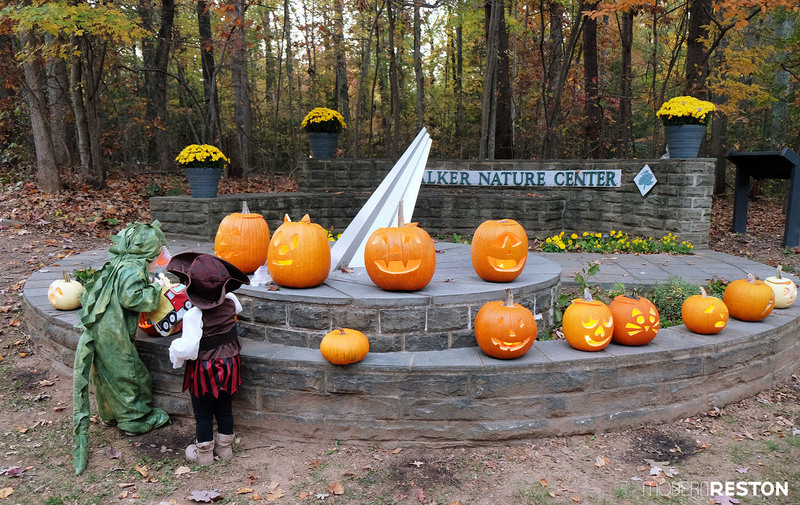 Create Halloween crafts, enjoy hands-on activities, see a grain grinding demonstration, and trick-or-treat around the site. $3-$5, register online. This haunted house is a fundraiser for Herndon-Reston FISH, which helps local residents through short-term crises. On Saturday from 1-5pm, there is a less scary event for young children, as well as face painting, carnival games, and kids entertainment. From 6-10pm, there will be a fun and terrifying haunted house event intended for older kids and adults. Kids are invited to wear their Halloween costumes and trick or treat in the school parking lot. Hosted by Restoration Reston. FREE. 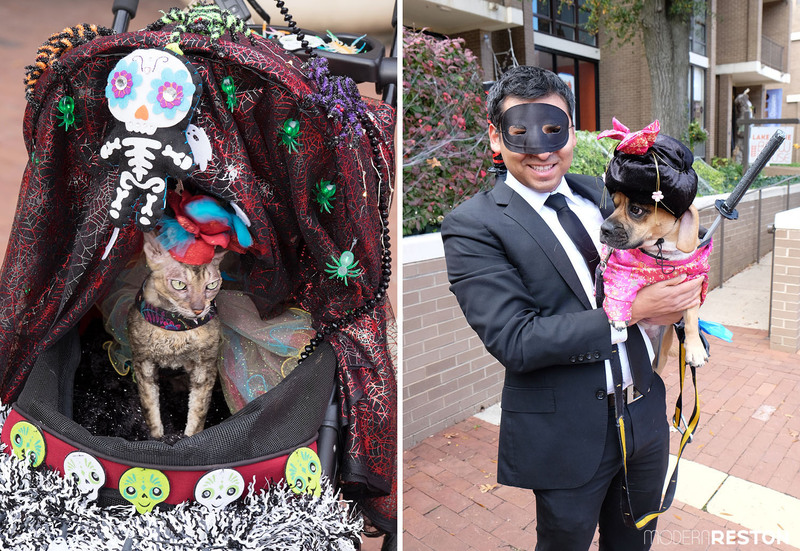 Dress up your dog for Reston Town Center’s first annual dog costume contest. Judges will award the most creative costume, the best owner/dog duo costume, and the best DIY costume. FREE, but registration is required. This celebration includes trick or treating (for kids from 6-7:30, and for adults over 21 after 7:30), a costume contest, live music, and more. FREE, register online. This Halloween party will feature DJ Kram and a costume contest with $300 in prizes. 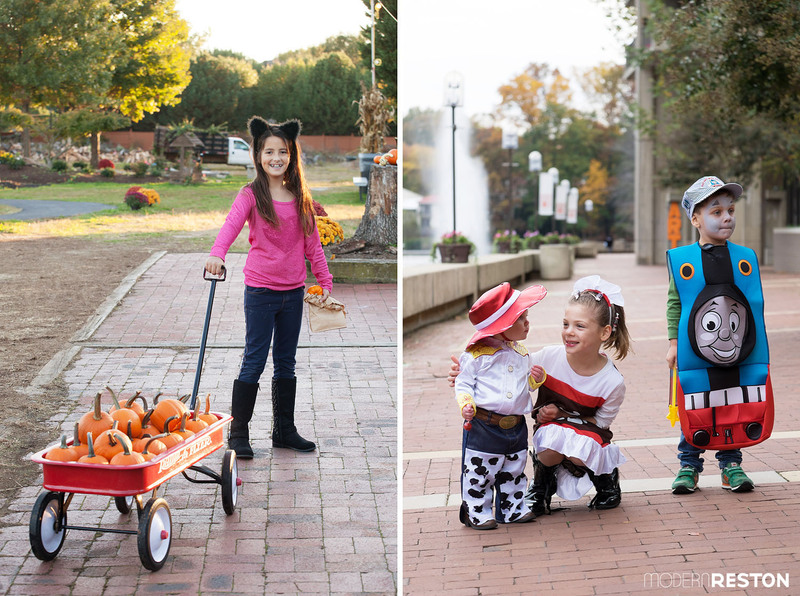 Bring your pet on a leash dressed up in its favorite costume. Parade begins at the East Parking Lot near Grandmother’s Back Room. Judging at 4:30, with prizes for special categories. Pets must be cleared from the area by 4:50pm. FREE. Children up to age 12 are encouraged to wear their favorite Halloween costume, experience the Haunted House, and enjoy trick or treating with local merchants in a safe environment right in the heart of town. FREE. This indoor trick or treating event includes candy stations, face painting, and balloon artists. FREE. These DC-area haunted houses are not for children or the faint of heart! These events are for teens and adults only. This impressively horrifying outdoor adventure is a personal favorite. 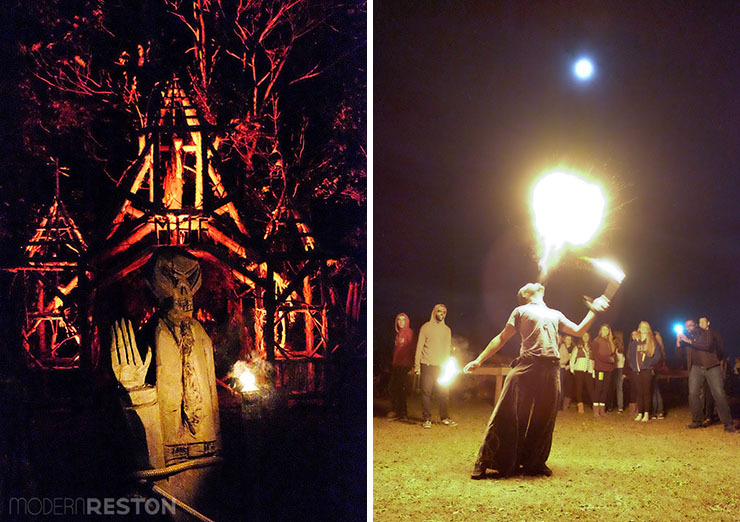 Convincing actors will frighten you along a haunted trail, zip line, canopy tour, or hay ride. 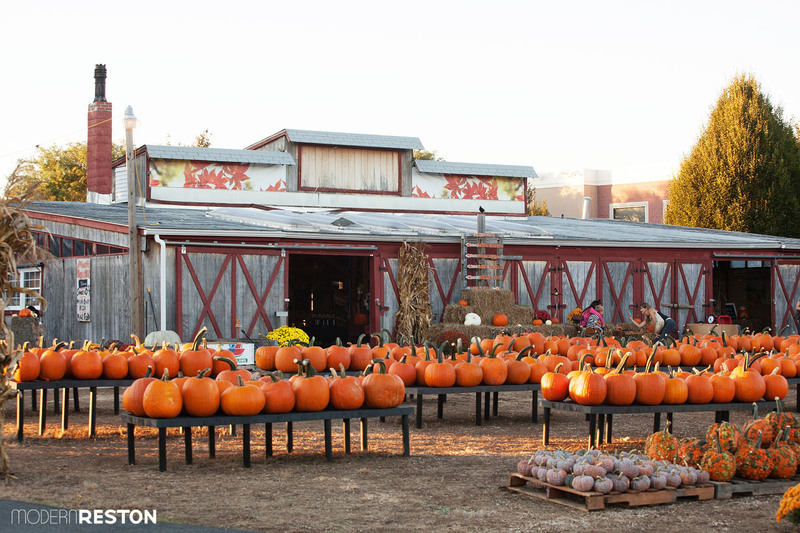 This fall festival transforms into a nighttime scare fest, with a haunted hayride, bonfires, and the Cornnightmare Maze. Gather a team of friends to help solve a riddle that will enable you to escape a darkened chamber before the devil knows you’re there. RFK Stadium’s parking lot will be transformed into two terrifying attractions: the Slaughter Factory and the Exorcism Estate. This event claims to be Northern Virginia’s only “real” haunted house. Take a half-mile forest adventure along the haunted White Trail of Algonkian Regional Park. This former prison is converted into an indoor and outdoor maze of terror. 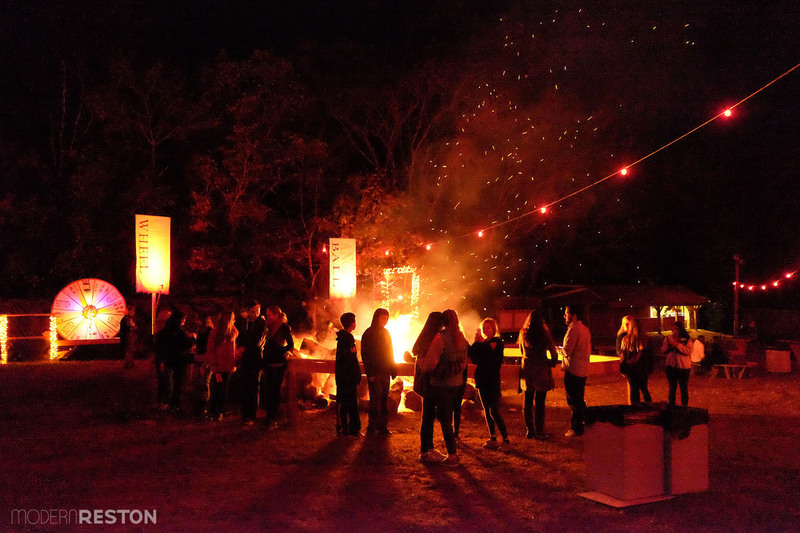 This event includes a bonfire, DJ, food concessions, and dark shadowy figures coming out of the corn to feed at night.